Obi-Wan Kenobi Movie Is in Pre-Production, Begins Shooting Spring 2019? The Obi-Wan Kenobi movie has yet to be officially announced by Lucasfilm or Disney, but it appears that the project is currently in the early stages of pre-production at Pinewood Studios in England as well as Industrial Light and Magic. A new report has revealed that the movie will remain in pre-production while the filming of Star Wars 9 takes place this summer and will go into filming in the spring of 2019. There is quite a bit of excitement for the Obi-Wan movie, which is a stark contrast to the announcement of Solo: A Star Wars Story, which was met with a divisive response from fans. It had been previously reported that the Obi-Wan movie was going to begin production in January of 2019 with an aim for a 2020 release date. However, a new report suggests that filming will begin in the spring instead. Additionally, the project already has prop modelers, concept artists, storyboard artists, and more already working. According to the report, everything is running smoothly even though a director or cast has yet to be confirmed. Director Stephen Daldry has been attached to the Obi-Wan movie since late last year and it's thought that he has been working on the story since then. As previously noted, neither Lucasfilm or Disney has yet to officially announce that the movie is happening. However, that has not stopped the speculation from spreading. Star Wars fans are eager to see who will be placed in the titular role and many are hoping that Ewan McGregor will reprise his role from the prequels. Ewan McGregor has stated that he does not know anything about the project but has expressed interest in returning to the Star Wars universe. 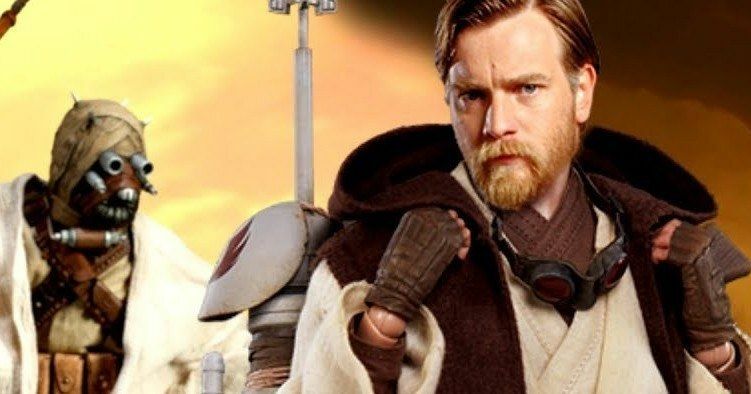 McGregor in the Obi-Wan movie would be a huge deal and it seems that Lucasfilm would be unwise to not cast the actor in the iconic role. Liam Neeson has expressed interest in returning as Qui-Gon in the Obi-Wan movie but has not officially talked to Lucasfilm about the project. When asked about the project, the actor states that anything is possible in the Star Wars universe. The Obi-Wan movie, working under the title Joshua Tree, has sparked a lot interest for Star Wars fans, so hopefully the project continues to run as smooth as the pre-production has thus far. Since everything seems to be in order, expect an official announcement soon, as well as casting news. We will more than likely figure out the cast of the Obi-Wan movie before the end of the year or possibly even an announcement at San Diego Comic Con this year. Regardless, Star Wars fans are extremely excited for the Obi-Wan spin-off, which is pretty rare in the new spin-off territory. You can read the original report about Obi-Wan's pre-production and filming start over at the Fantha Tracks website.